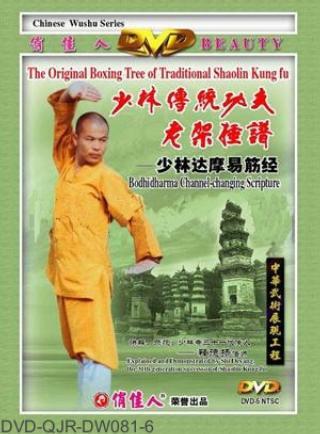 Shaolin Dharma Tendon Rebuild Scripture (Shaolin Damo Yijinjing) is one of the earliest exercising methods practiced by Shaolin monks. For over a thousand year of history, it is proven to be beneficial for health preservation. It was said that this exercise was created by Dharma and by practising it, your spirit, body and Qi will be integrated closely to regulate the vital organs of the human body, the twelve Jingluo and thus the whole body overall. It helps to balance the Yin and Yang, unblock the Jingluo, strength the physiological fitness of all body parts, keep health, avoid illnesses, resist premature senility and extend longevity.